What are your taste buds ready for today? We’re talking about veggies today. 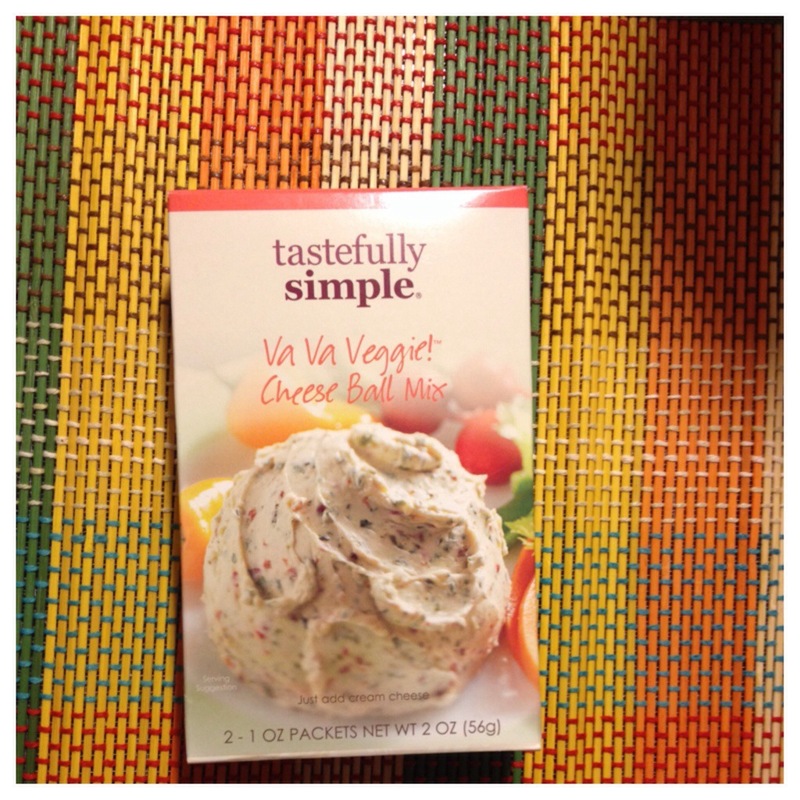 Our taste buds had the opportunity to experience Tastefully Simple’s Va Va Veggie Cheese Ball Mix. This cheese ball mix is a part of Tastefully Simple’s Spring & Summer line. A combination onions, green and red peppers, tomatoes and garlic, gives this cheese ball a very mild flavor. Mix with cream cheese, chill for 2 hours and enjoy with other vegetables or crackers. Va Va Veggie Cheese Ball Mix also works well as a sauce using heavy cream to mix in with some pasta. Combine ground beef, turkey or even chicken with Va Va Veggie Cheese Ball Mix to create a flavorful burger. Try seasoning vegetables or poultry with Va Va Veggie Cheese Ball Mix before adding them to grill for cooking. We enjoyed Va Va Veggie Cheese Ball Mix. Such a great item for spring and summer hang outs or even just for spending time with family.